Better get cracking on a plan to start releasing inmates. A federal judge in Houston has denied a request by Harris County officials to delay the start date of a court order that eliminates cash bail for poor people arrested on low-level charges who can’t afford to post bail. Chief U.S. District Judge Lee H. Rosenthal denied the county’s motion to stay her order, leading to an expedited appeal by the county expected to be filed Friday with the 5th U.S. Circuit Court of Appeals. Rosenthal weighed the request for a stay based on who faced the “greater harm” if she granted it: The 15 Criminal Court at Law judges and five hearing officers who asked for the delay or the inmates being held on bail rates they couldn’t pay. She explained in her order Thursday that the misdemeanor defendants stuck in jail while awaiting trial would suffer greater harm than the county in implementing a new bail system. See here and here for the background. The Press quotes from Judge Rosenthal’s ruling, and I recommend you read it. The arguments being made by the county’s high-priced outside attorneys are not very compelling. Which isn’t stopping the county from taking one more shot at not having to comply with this order. Harris County asked a federal appeals court Friday for an emergency halt to judge’s order that would alter the way cash bail is handled for hundreds of people jailed on misdemeanor charges. 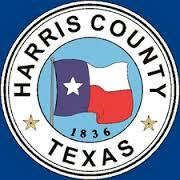 The request from Harris County’s team of lawyers asks the Fifth U.S. Circuit Court of Appeals to decide by Monday – when the order is set to take effect – whether the county should be allowed with continue with its current bail system while a contentious lawsuit proceeds through the courts. “The injunction jeopardizes public safety—the harm is real and imminent,” the lawyers argued in the 11th-hour filing just before noon Friday. The county asks the appeals court to either overturn the injunction or temporarily halt action if the court needs more time to evaluate the merits of the case. I hope the Fifth Circuit gives this a quick back-of-the-hand. In the meantime, Sheriff Ed Gonzales is ready to move on. Unless an appeals court temporarily halts the judge’s order in the next few days, Gonzalez said he and his staff are ready to enact the changes, which he supports. Gonzalez filed court documents asking Chief U.S. District Judge Lee H. Rosenthal for an emergency hearing to iron out potential kinks in her April 28 order. The judge responded instead with a rare “clarification” order addressing his concerns point-by-point, explaining that the sheriff has broad authority to handle needed paperwork to get indigent defendants out of jail if they meet the criteria for release and can’t afford cash bail. Gonzalez was joined by District Attorney Kim Ogg in filing court documents Wednesday, spelling out their opposition to the county’s decision to appeal the order. “Liberty delayed is not liberty at all,” Ogg wrote. She said the county’s position that Rosenthal’s recent order requires “significant coordination” is overstated, noting that her office trained all departments months ago to request unsecured bonds in most misdemeanor cases. So the Sheriff is ready to comply. The District Attorney is ready to comply. At least one of the misdemeanor court judges is ready to comply. Why is the county – in particular, Commissioners Court and the other misdemeanor court judges – still fighting this?